Play a quick game of “I spy.” I spy something blue, yellow, green, etc. 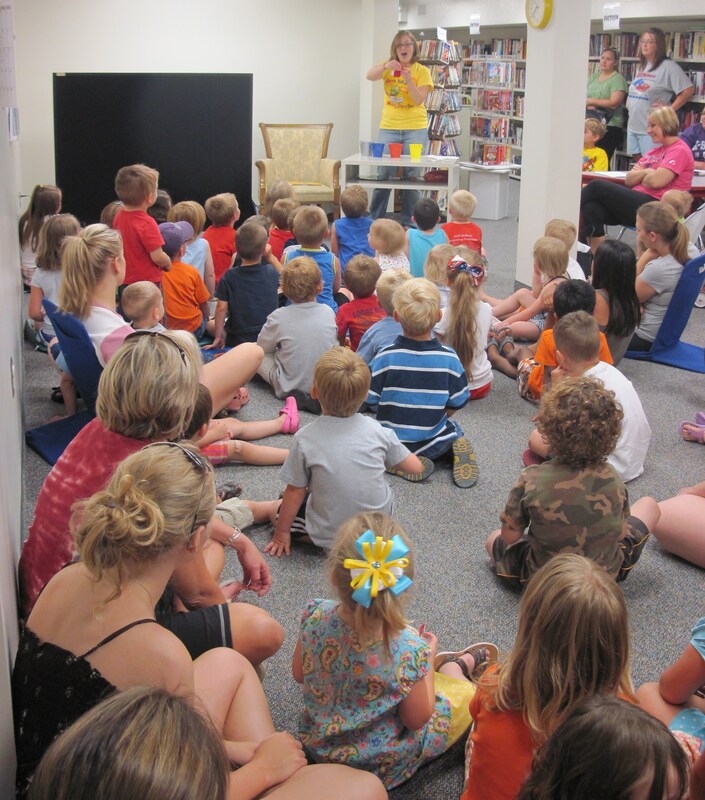 Instead of reading this book, tell the story using red, yellow and blue pails, and bunnies cut out of colored felt. When little white rabbit hops in the sunshine yellow bucket, he comes out yellow! 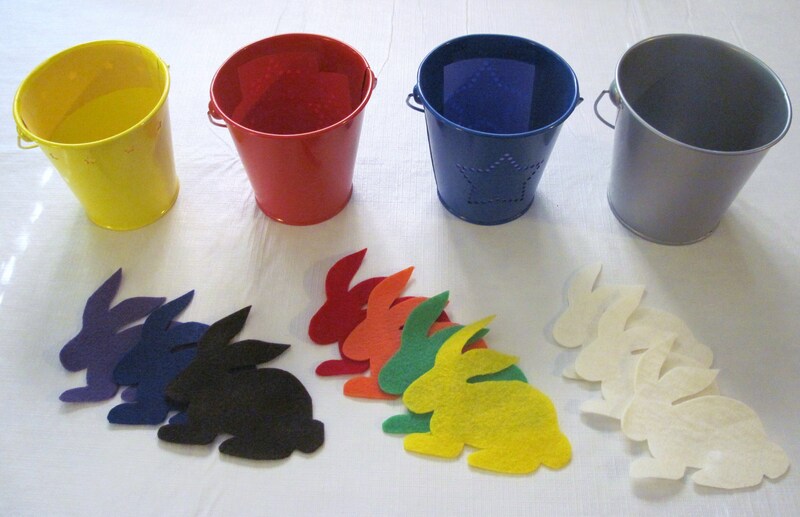 The children won’t know that you switched the bunnies in the pail – to them it will be magic! Based on the book, Brown Bear, Brown Bear, What Do You See? by Bill Martin. Green square, green square, what do you see? I see a red circle looking at me. I see a blue rectangle looking at me…. Etc. A silly little rhyme/chant I wrote to get the wiggles out. Dance with colored scarves to the song. I usually find that my groups do better with some direction than simply “dance!” I typically ask them to copy my movements (and this is great for building listening, movement and rhythmn skills.) If your group is not shy and has lots of energy, have fun being creative and free-dancing! “Splurt! Splosh! Squish!” Dog picks up many different colored spots during his messy day – red jam, blue paint, brown chocolate, green grass stain, etc. – and each makes a unique sound as it lands on him. 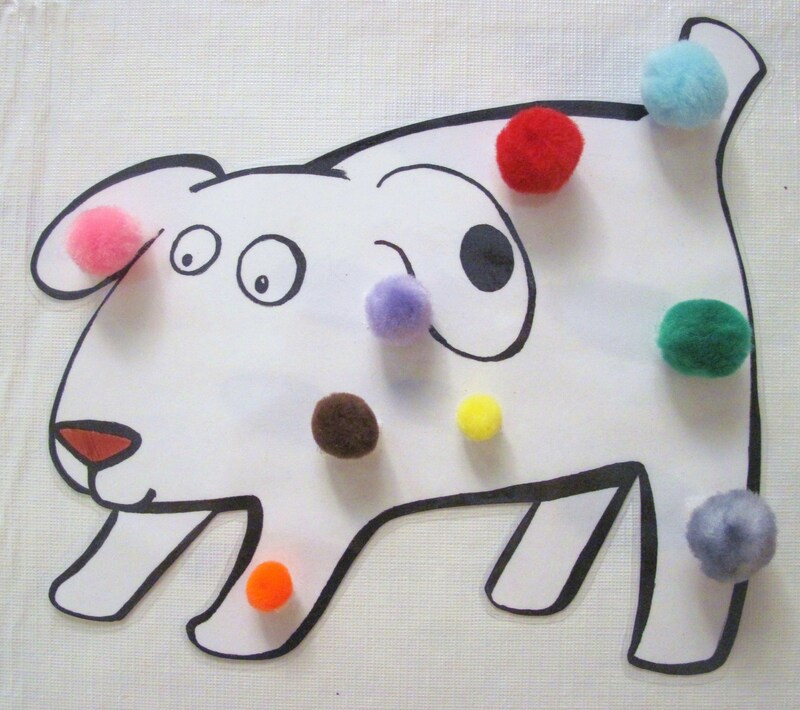 Children will laugh at the funny sounds and will help you keep count of Dog’s colorful spots. This works especially well using a flannelboard as a visual aid, while reading the book. 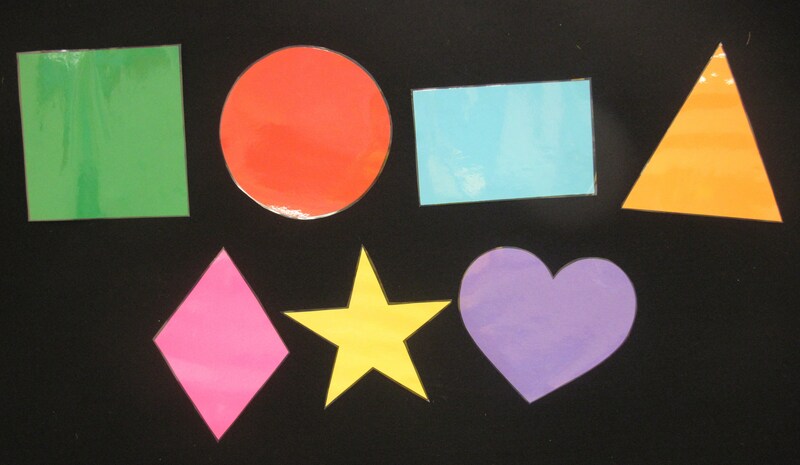 Making Learning Fun has several craft ideas to use with Dog’s Colorful Day. I stumbled across this post as I was planning a color storytime & LOVED it! I had to order my system copies of WHITE RABBIT’S BOOK OF COLORS & the kids adored your adaptation. I’m also using it when I do storytelling technique demonstrations. Thank you so much. I LOVE your white rabbit story; thank you so much for sharing! I will be using it in an upcoming storytime.